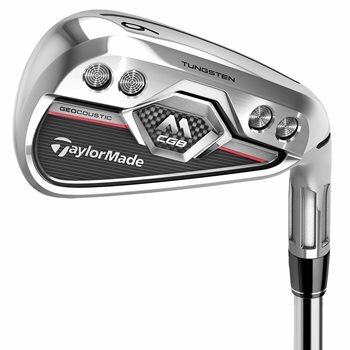 The TaylorMade M CGB irons push the limits of iron engineering for maximum distance throughout the entire set. The irons feature multi-material head construction with milled Tungsten micro weights to create high MOI and a thin, flexible sole with Speed Pocket for forgiveness low on the face. The Face Slots provide increased ball speed on heel and toe mishits for great consistency while the precision-shaped head geometry provides optimal acoustics at impact. Ultra-low CG placement delivers high-trajectory and optimized spin rates and the consistently high COR through the set, makes it TaylorMade’s fastest set from 4-PW ever. You list standard length as 37”. Which club are you measuring? Other sites I’ve looked at use the 5-iron for measuring length. With the M CGB, that would be 38.25”. We use the 6 iron. They are actually the same club. Sometimes referred to as a Gap wedge and other times an approach wedge.